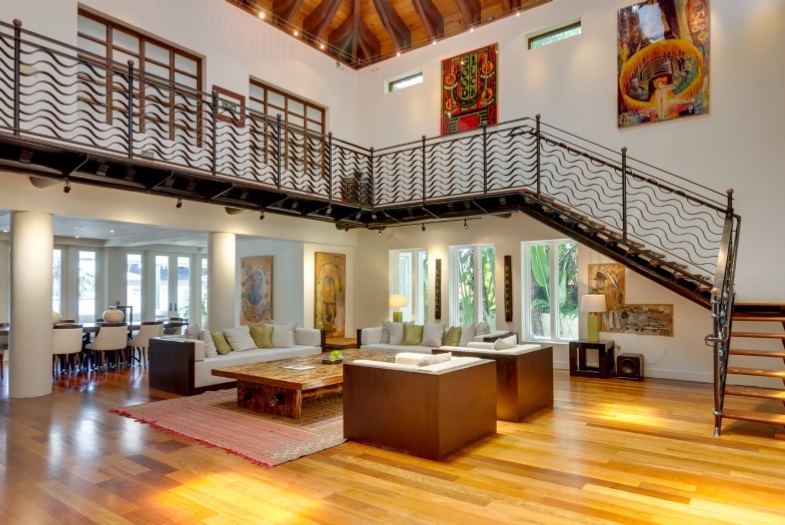 Contemporary Bali style custom home with highly sought after downtown SW sunset views. Large master bedroom with spacious outdoor patio. New outdoor kitchen and large outdoor dining table. This home is built for entertaining, grand living room space with four spacious outdoor entertaining areas. Pie shape lot with over 100 feet of waterfront. Infinity pool with hot tub and pagoda, jet ski lift and dock. This stunning home has to be seen to be appreciated!